Through the decades, Chrysler has deservedly enjoyed a legacy of accessibility and dependability. 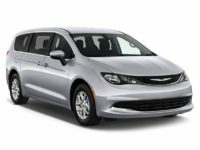 Truly an “every-man” brand of automobile, Chrysler has undergone significant innovation through its history, always producing quality, reliable and affordable vehicles. 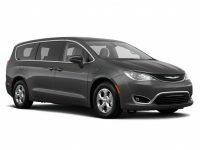 Cheap Car Lease NYC is committed to helping companies customers enjoy the true virtues of the Chrysler brand through our convenient and affordable auto leases. We offer flexible agreements, low-price leases and a reliable and qualified team of professionals. Get ready to transcend the typical auto leasing experience. Call Cheap Car Lease NYC today at 718-307-5662. We look forward to getting you into your next car. 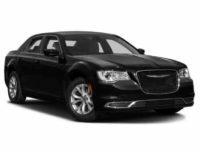 We are prepared to leverage the diversity, strength and performance of the Chrysler brand to give our customers the best possible range of options. If you’re currently in a lease that you’re looking to break, Cheap Car Lease NYC offers a range of options to help you exit your lease early. One of the most common complaints about the leasing process is the credit issue that people encounter. They don’t think they’ll be able to get a quality or affordable lease because they have a less than perfect credit history. Cheap Car Lease NYC puts these fears to rest, and we approve about 90 percent of our applicants. This does not mean we approve them and then charge them exorbitant rates to punish them for damaged credit. Each and every one of our customers enjoys the fairness, professionalism and convenience that have made us the premier auto lease broker in New York City.